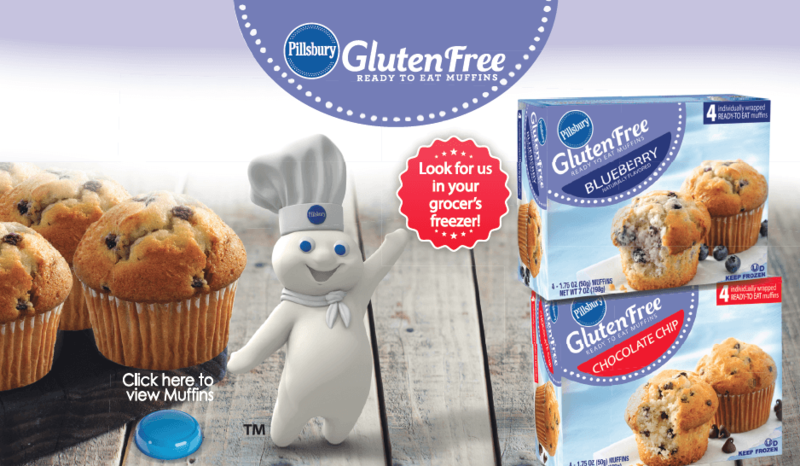 Gluten-Free Living > Blog > Food > SPONSORED: Pillsbury Gluten-Free Muffins, What You’ve Been Looking For! If you’re living a gluten-free lifestyle and have been searching for a moist homestyle muffin bursting with flavor, our Pillsbury Gluten-Free Muffins are exactly what you’ve been looking for! The ready-to-eat muffins are individually wrapped for on-the-go convenience and certified gluten free by the Gluten-Free Certification Organization. Sold in packages of four and available in Blueberry or Chocolate Chip, they can be found in grocers’ all-natural freezer cases. Our Classic Pillsbury Gluten-Free Parfaits are the perfect treat! NOTE: Always read product labels to make sure every ingredient is gluten free. Products and ingredient sources can change. 1. 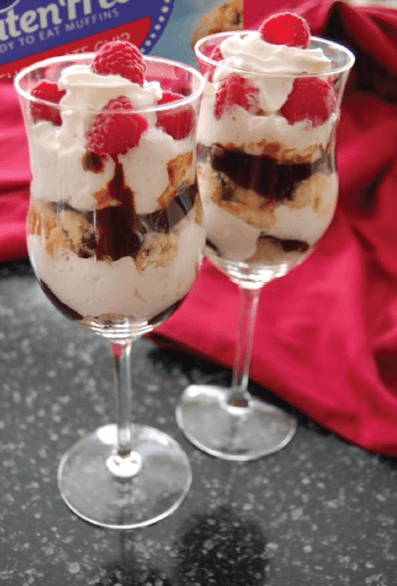 Cut one Pillsbury Gluten Free Muffin into small chunks and put half in each wine or parfait glass. 2. Top with a layer of hot fudge sauce – about 2 Tbsp. 3. Spread on a layer whipped topping. 4. Repeat steps 1-3, topping the dessert with fresh raspberries or any other berry you choose. It’s that simple!